Join us for a Wool & Co. KAL (knitalong)! Please join Wool & Company for a summer knitalong hosted by the wonderful Laura Keiken! 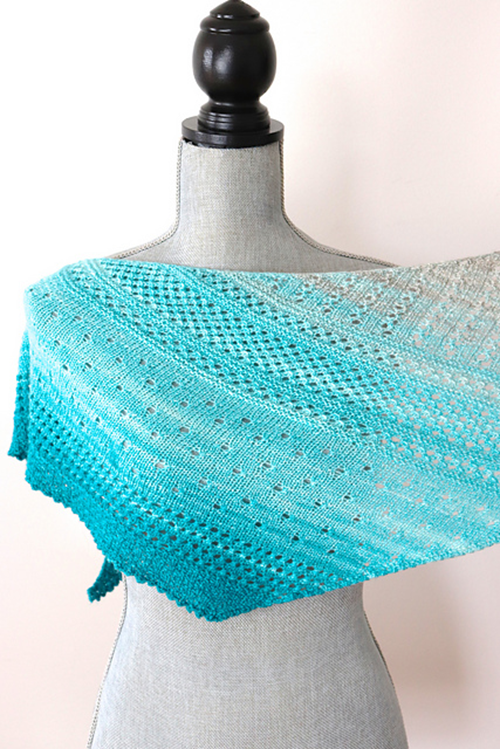 The Local Yarn Shawl by Casapinka is a simple boomerang shaped shawl, consisting of simple lace, textured, eyelet and mesh stitches. The knitalong requires no sign-up & is a community event for knitters to get together, knit & socialize. The knitalong is not an instructional event, however Laura will be available at all of the meetings to answer any questions or help trouble-shoot any issue that may arise. The pattern is written for two sizes: Small and Large. 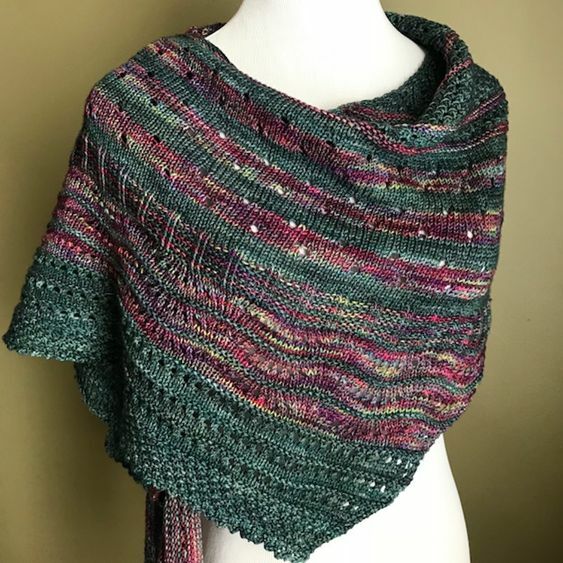 The small shawl only consists of one color but in a gradient, if desired, (560 yards); while the large shawl uses two contrasting or coordinating colors (350 yards each). The shawl is knit on US 6 32" needles. Some gorgeous yarn recommendations to knit the shawl include Malabrigo Sock, Sweet Georgia Tough Love Sock, Brew City Premium Draft Sock, Malabrigo Mechita, & Madelinetosh Tosh Merino Light.